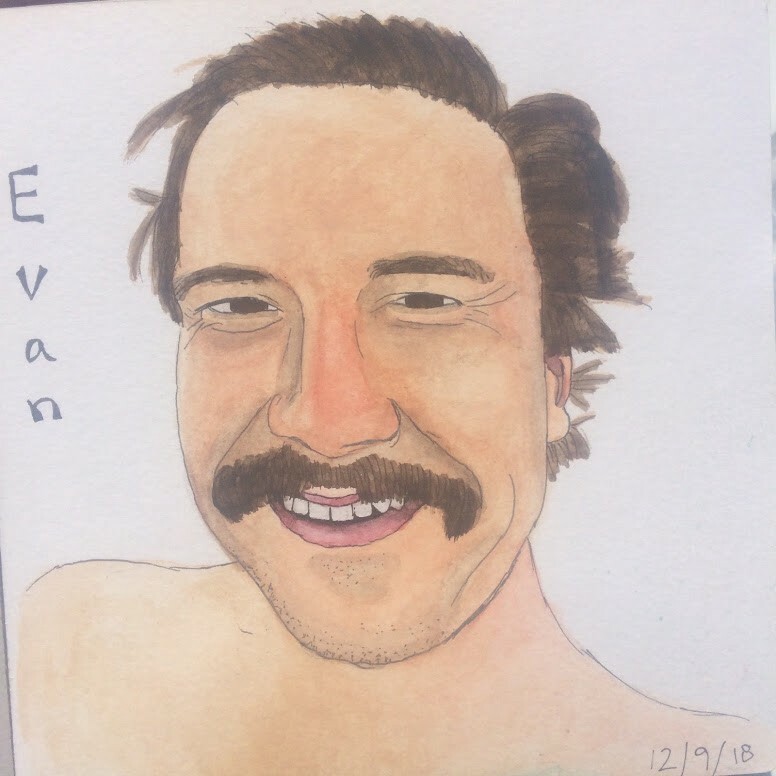 Over a year ago I began a project to paint 100 portraits. The reason? 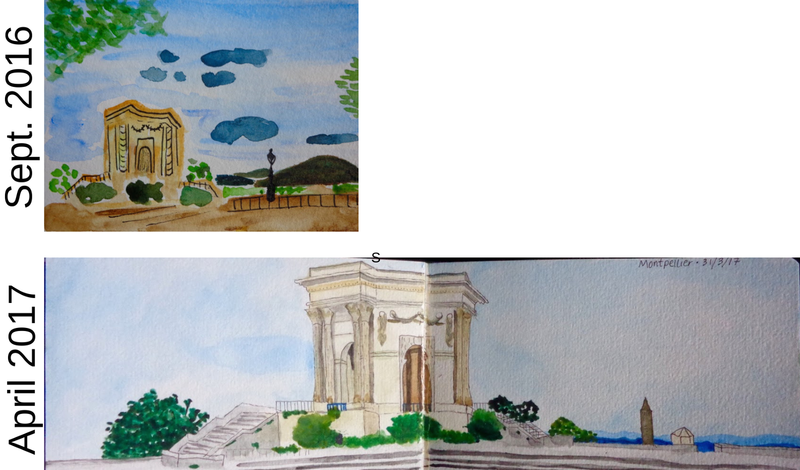 At the time I had only been painting landscapes as part of my new watercolor hobby, and thus faces felt really difficult. I figured that if I painted a hundred of them, I was bound to get better. 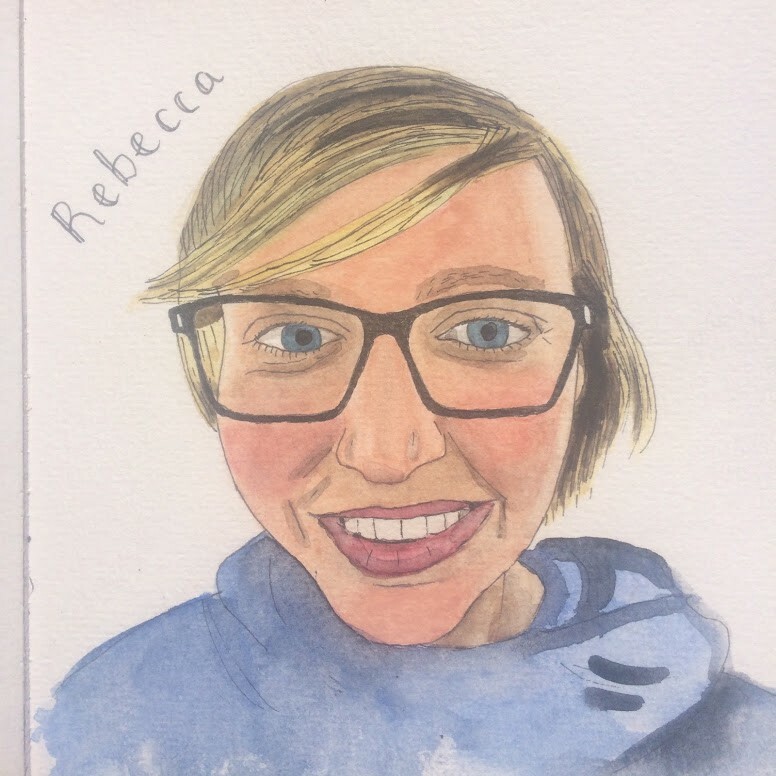 In the fall I painted portraits of my 5-person Rocky Mountain Youth Corps crew, which were portraits #41–45 of the project. 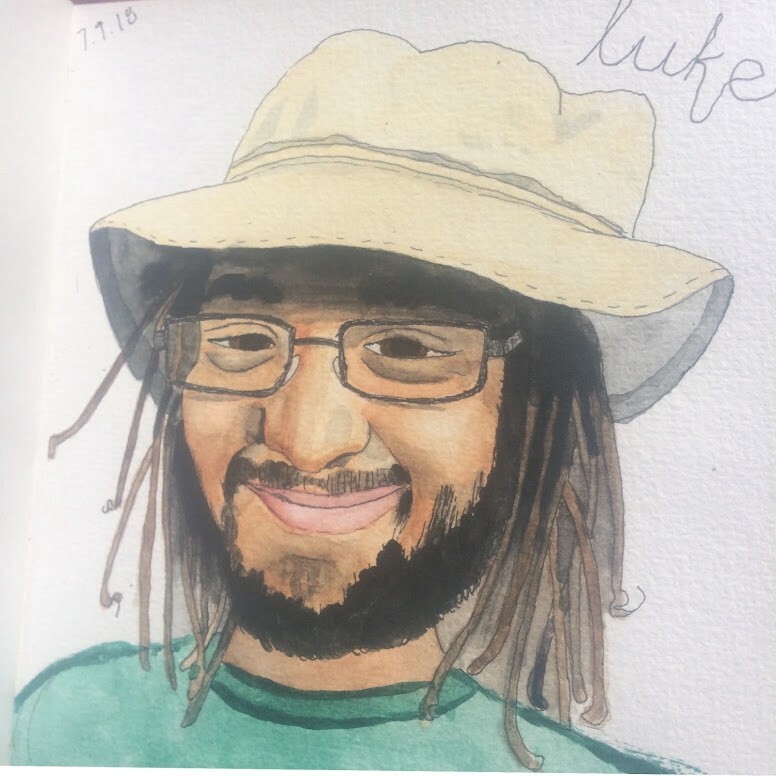 While reflecting on these two parts of my life, conservation corps and painting watercolors — both of which only began in my late 20s—I was reminded of not only the joy of being an adult beginner, but of the importance of venturing into such new territories as well. 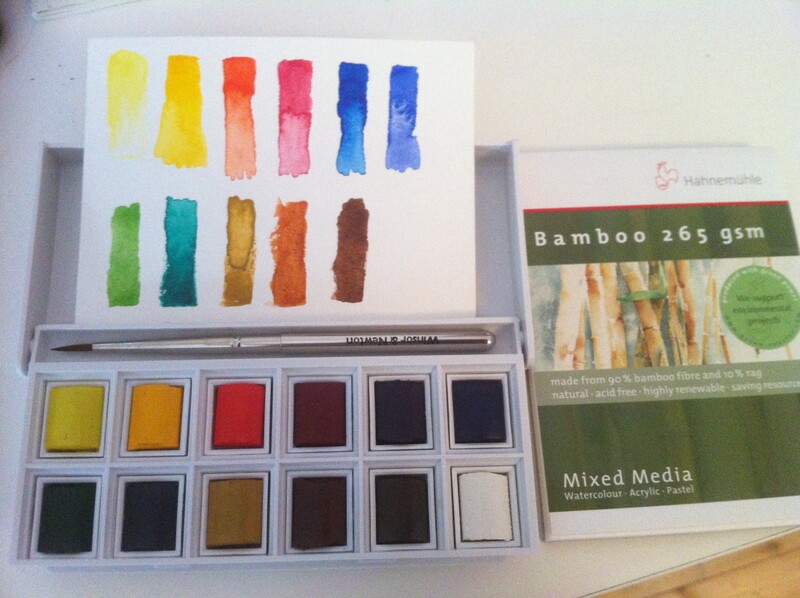 I bought my travel set of watercolors — the same set I’m using today — in the fall of 2016. I hadn’t painted since art class in elementary school, but the idea had been growing in the back of my mind for over half a year. So when I saw them on the shelf in a stationery shop one afternoon, I bought them on a whim. This would later turn out to be the best $20 I’d spent that year! I began where I was, at zero, and continued to paint for the pleasure I got out of it. Whether or not my finished piece was something I was proud of, my attention was focused on savoring the process and getting lost in the zone. 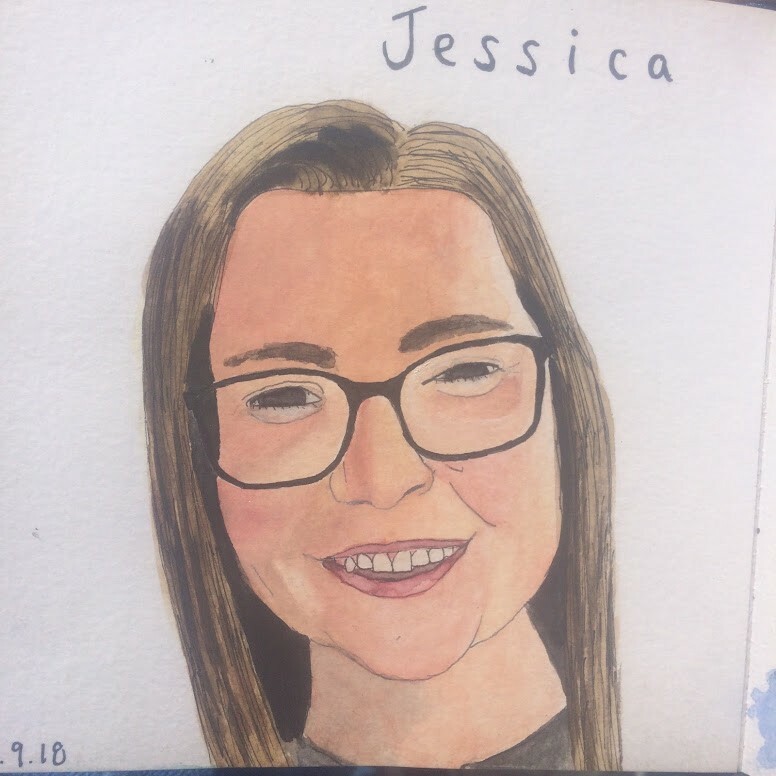 I painted — and continued to paint — lots of “bad” sketches, or less aesthetically pleasing paintings, and that’s how I improve. Had I stopped after one of my early child-like paintings, I never would have gotten better. I learn by playing freely with the paints and making lots of mistakes without judgment. It took time after time of me accidentally putting a wet color next to another wet color, for instance, and seeing them mix together horridly, for me to learn to wait until a section is dry before painting a contrasting color near its edges. While I’ve improved immensely in this regard, I still mistakenly bleed color today — but now know how to either blot it away with my cloth napkin or to brush away the bleeding color with a semi-wet, clean brush. 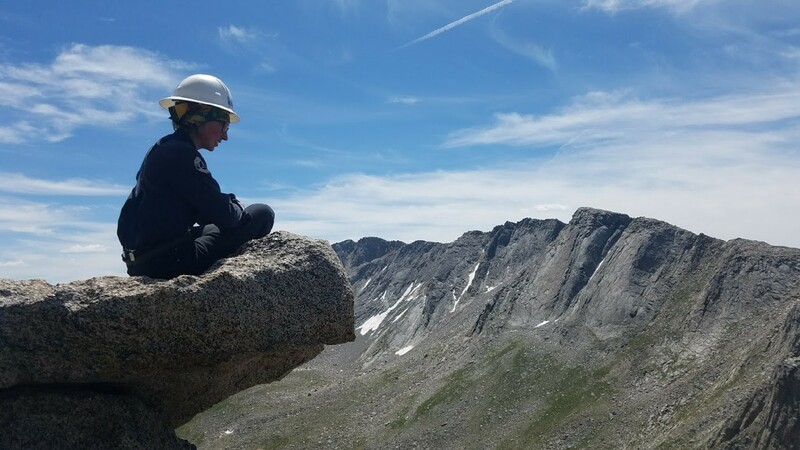 At the age of 28, in an effort to spend more time outside and to see a new part of the country, I joined a conservation corps in Arizona (ACE). 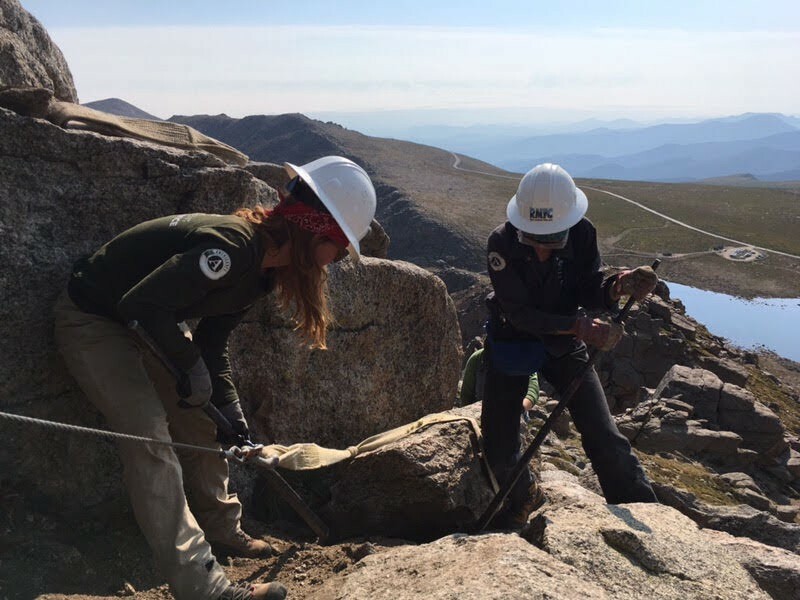 A month prior to applying I hadn’t even known that conservation corps existed, so I never could have predicted that nine months later I would be assistant crew leading at Rocky Mountain Youth Corps for the summer and fall. The first time I swung a pick mattock felt incredibly clumsy and awkward, as did my second swing, the third, the fourth, and so on. I felt notably exposed — foolish, a fraud — as neighboring peers skillfully used their trail tools with ease. Two nearby members noticed my inexperience and offered helpful tips. They taught me my hands should begin on opposite sides of the handle, but the hand on the tool side will slide as I’m raising the pick, sliding all the way down to meet my other hand at the base by the time I’m on my down swing. They demonstrated several good swings for me, pointing out that my knees should be bending during the motion as well for proper body mechanics. I grabbed the pick and tried again. 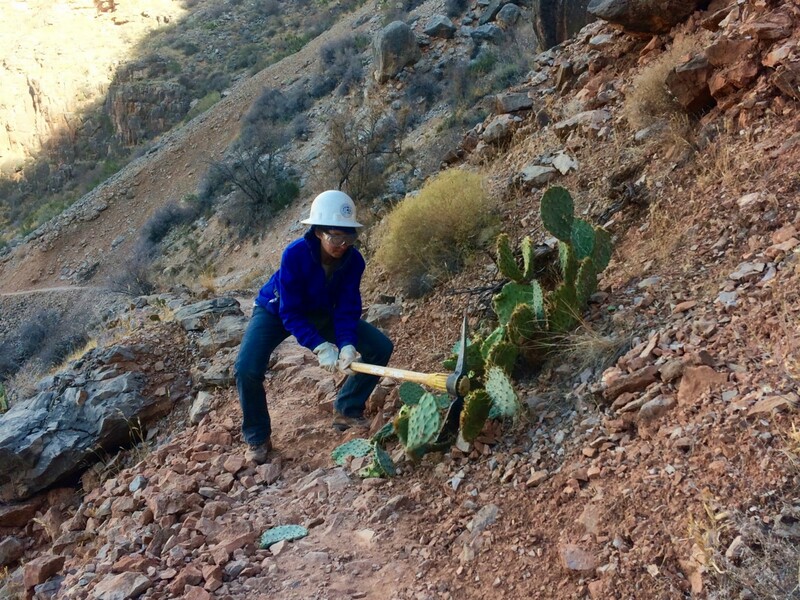 In the past year I’ve learned how to build and maintain trails; build rock staircases, retaining walls, and check steps; safely move huge rocks with a griphoist; mix and spray herbicide; identify and remove invasive species; and drill holes with augers for planting — just to name a few of my new skills. I’m now comfortable using picks, McLeods, single jacks, double jacks, augers, herbicide sprayers, griphoists, rock bars, rock nets, and more. 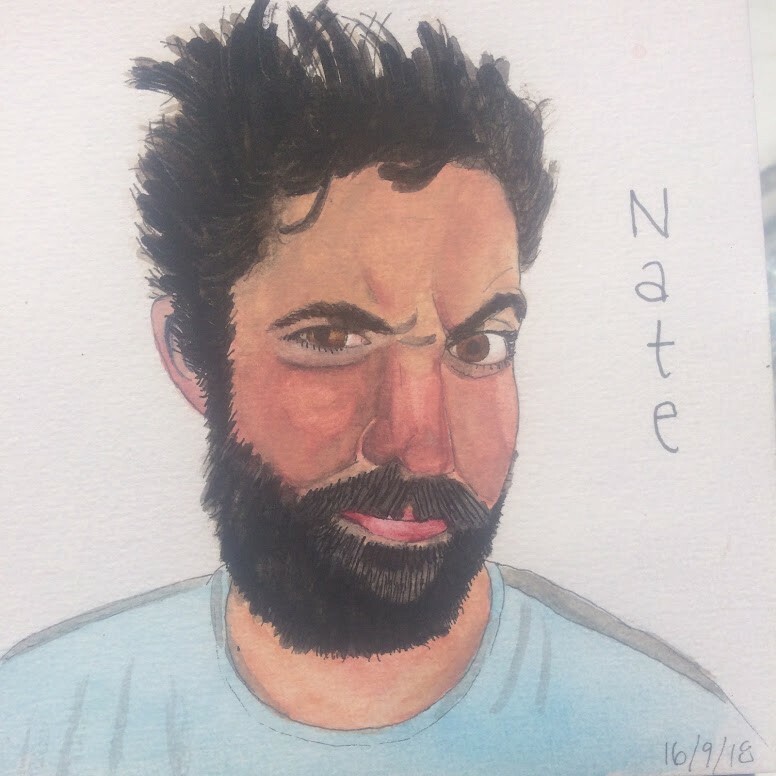 But just like painting with watercolors, I never would have gotten here if I hadn’t lifted up that pick and continued to swing it wrong until I learned better technique. I had to experience the discomfort of feeling graceless and inept, of creating paintings that weren’t much to look at, to improve in both realms. And it’s exactly this awkwardness and vulnerability which can keep adults from trying new things. But oh the rewards! If you simply continue, if you just return to your brush the next day and paint another — even when that huge gap between where you are and where you want to be is staring you fiercely in the face — with time you will emerge at a new stage. The first steps likely won’t be attractive, but the journey towards any new skill is incredibly gratifying, and the joy of being an adult beginner, unparalleled. Is there anything you’ve been thinking about learning or trying, or perhaps something you once tried and abandoned when results weren’t what you expected? I encourage you to take one small step today towards this curiosity or pursuit. But this time, remove emphasis from “good” results and instead shift the focus to enjoying the process. Allow yourself to “fail” and make mistakes. Do this, and you’ll be on the quickest path towards learning and improvement, not to mention delight. Because in the end, isn’t that what’s most important? That we find pleasure and fulfillment in our time, rather than staying in our comfortable zones where we appear competent to onlookers? So let’s venture into the unknown together, holding in our minds the importance of being adult beginners.